A simple treatment to neutralise the harmful effects of soluble salts, chlorides and sulphates. Biodegradable and VOC free, this is a safe but efficient solution to a tricky problem. Magic Bullet’s ‘Salt Neutraliser & Remover ’ (SNR) is a complex formulation that will remove soluble salts from any substrate liable to attack or degradation from corrosive salts or sulphates. 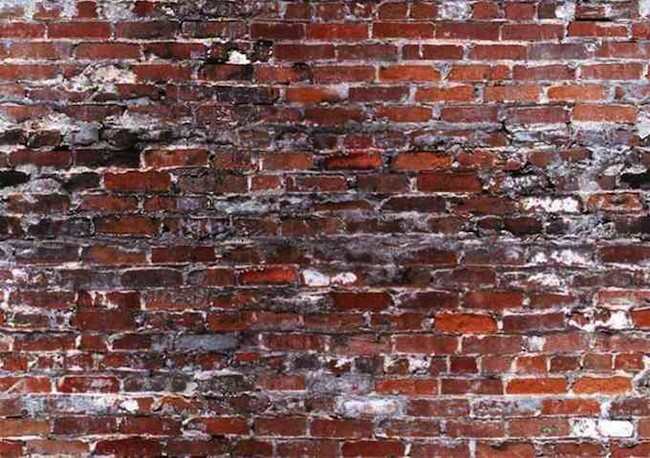 Causing no damage itself and leaving no unsightly residues it can be applied freely and without masking to all common building materials including - UPVC, wood, cladding, rubber, glass and metals. 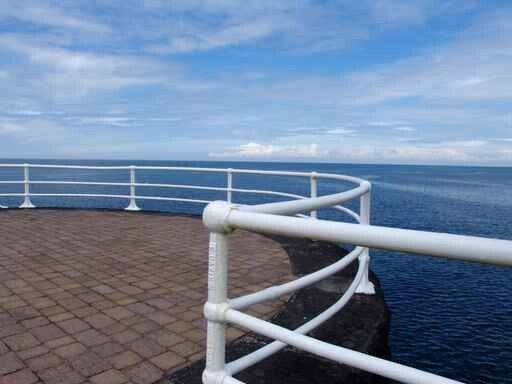 Ideal as a treatment for efflorescence it can be used as a stand-alone cleaner or as a superb preparation tool prior to painting particularly in coastal areas. Supplied ready for use. Apply the product liberally using a brush or low pressure hand spray (particularly for vertical surfaces). Allow to sit for 10 minutes then agitate briefly with a brush or coarse cloth. Thoroughly rinse off using clean water, ideally with a warm water pressure washer to achieve best results. Some difficult problem areas may require a second application. 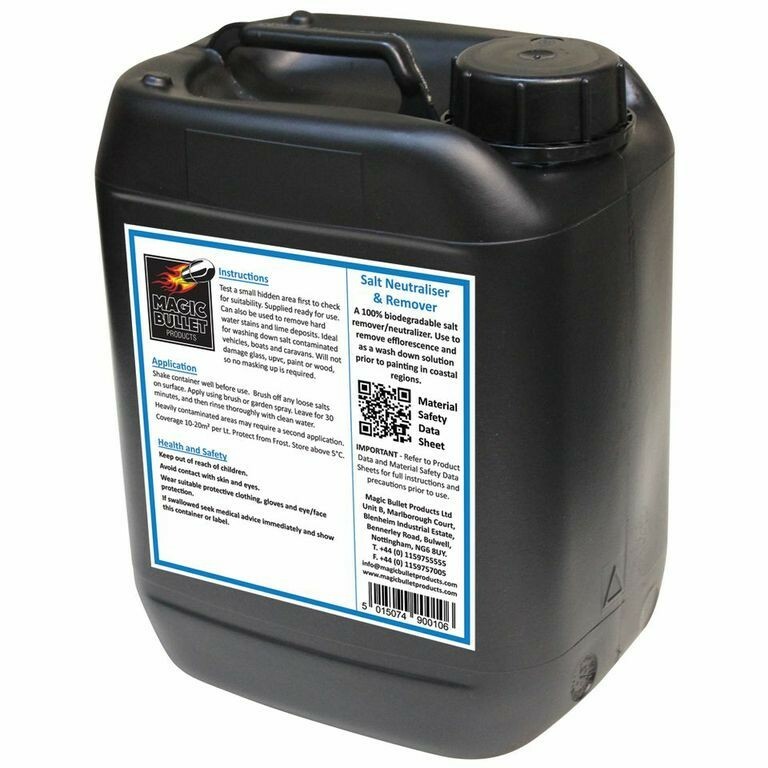 Coverage – 10 20m² per litre. 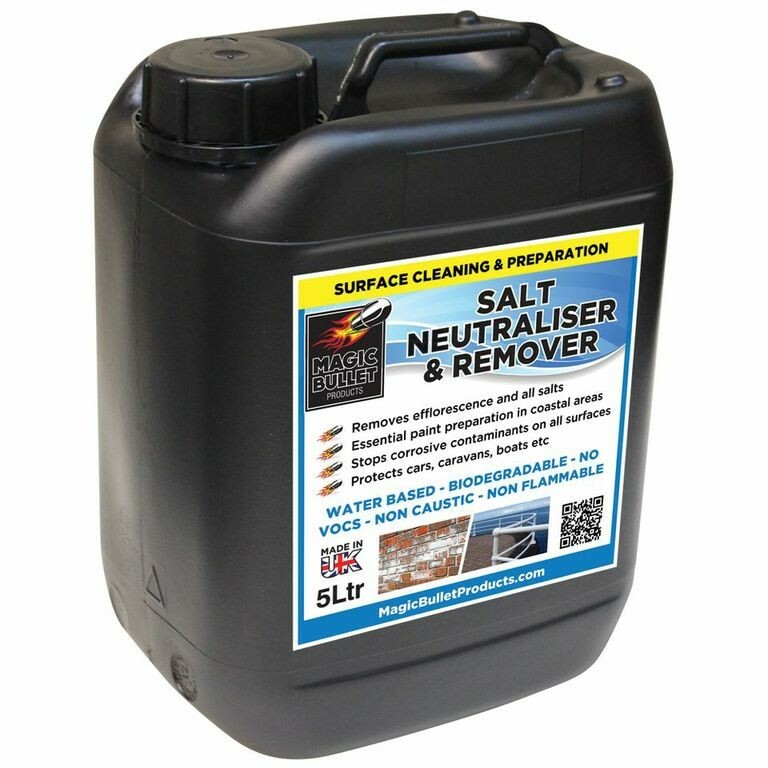 As with all our products we strongly recommend you carry out a small discrete sample application to test the suitability of our Salt Neutraliser & Remover for your particular use.